Dr Pierre Chevallier was a member of the French cabinet when his 40-year-old wife, Yvonne, murdered him. They had met and married during his medical training and had two sons, Mathieu in 1940 and Thugal in 1945. By 1950 all the romance and affection had gone from their marriage. The Chevallier sons made friends with the three children of their neighbours, Jeanne and Leon Perreau. Leon Perreau was short, bald and portly while his wife was a glamorous redhead 15 years his junior. He ran a department shop in Orleans, which kept him away from his wife six days a week. It was not long before gossip began about Madame Perreau — it was said that she had a string of lovers. Dr Chevallier was soon counted among them. His wife was anxious about her husband, her looks and her family. She visited a doctor who prescribed her drugs to help but she became addicted to Maxiton, an amphetamine, and Veronal, a barbiturate. 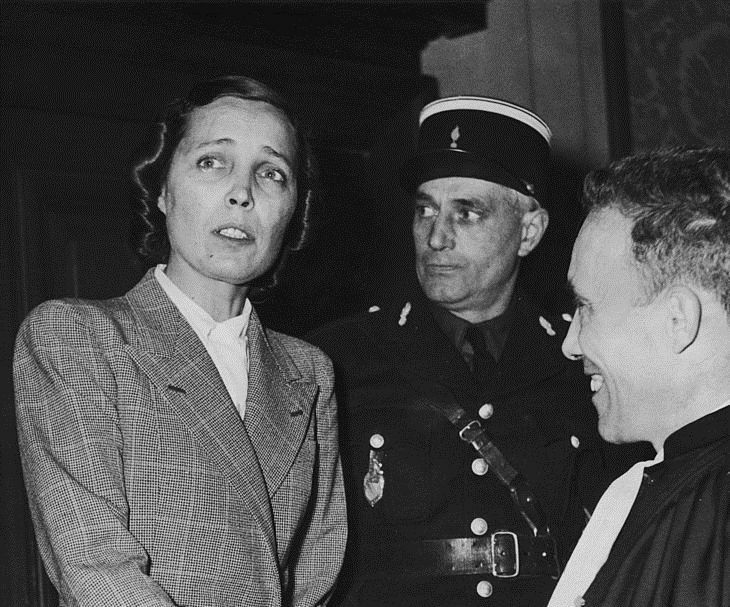 In 1951 she received a poison pen letter informing her that her husband was keeping Jeanne Perreau’s bed warm. She searched his wardrobe and found a love letter from Jeanne to her husband. It finished, “Without you life would have no beauty or meaning for me. Jeannette.” Chevallier went to see Leon Perreau who told her that he knew his wife was sleeping with her husband but it did not bother him. It was when Madame Perreau testified that the public opinion swung in favour of Chevallier and she was acquitted. The Catholic Church granted her absolution for the killing. She went to Africa to work with the poor and is believed to have died in the 1970s.